OK I have a problem, the large perc clown ive had for years all of a sudden has been stung by the carpet it has been with for several months. 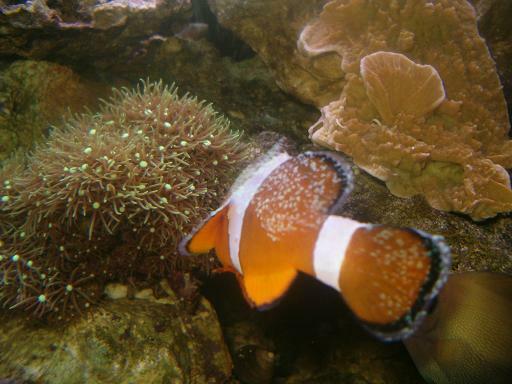 I have a pair of clowns that on occaision spawn (never tried to hatch the eggs) and theyve been hosting in this same anemone for a few months. 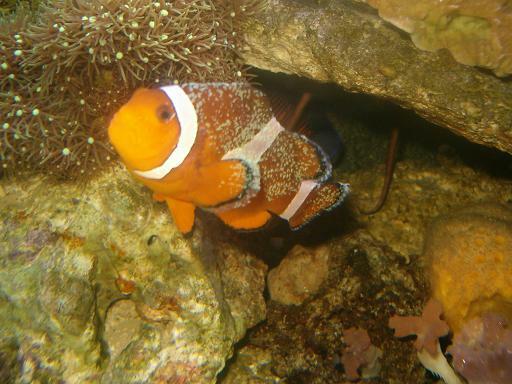 This morning the lights come on and the larger clown is covered with stings from the anemone, its quite severe, do I need to worry about losing the clown or will it recover? Also, is this normal for a clown to all of a sudden get stung by its host? It appears that they do sting their hosts from time to time and the Clown SHOULD recover fine, and during the process will be less likely to be stung a second time due to a resistance it might have built by being stung. wow, that is severe ! never seen clowns covered like that. 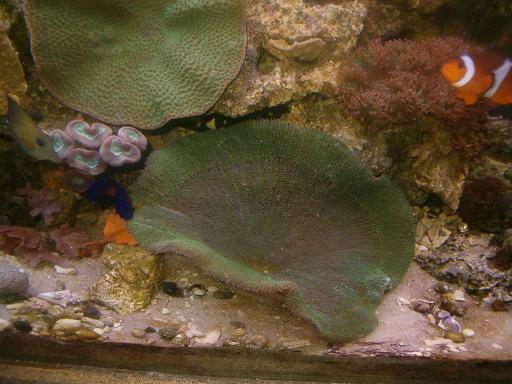 Do you feed your carpet anemone ? it looks fairly thin. Make sure you have enough lighting as it will starve & wont be happy, carpets need alots of light. I dont feed it often, feedings are very small in this tank due to my crappy skimmer, however lighting is quite strong, 2x 250W MH, 2 T-5 daylight, 2 VHO actinic. 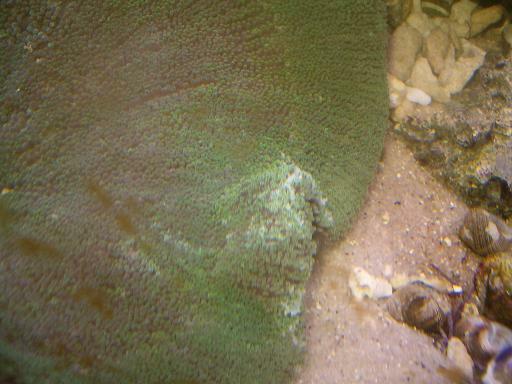 Also the anemone ate an unlucky urchin that fell into it a couple days ago. I woke up to find a pile of spines and an empty shell beside the carpet. Try giving it a piece of uncooked raw shrimp once in a while, will help with its appetite. Be careful! The Carpet WILL eat clowns. The fact that your clown survived is probably because she's well established and healthy. It's your choice but you're gambling on the clown's life.